OPALESCENCE BOOST is a chemically activated power whitening gel that provides brighter, whiter teeth after just 40 minutes in the dental chair. The powerful 40% hydrogen peroxide gel is chemically activated, so it doesn’t require a hot, uncomfortable light to work. 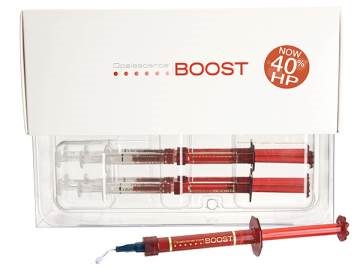 Using the unique double-syringe configuration, the clinician activates the 40% hydrogen peroxide formula just prior to application, ensuring every dose of Opalescence Boost is fresh and effective. 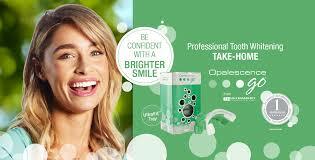 OPALESCENCE GO is the perfect option for patients who are looking for convenient, ready-to-go whitening. A professional whitening gel delivered in prefilled, disposable trays, Opalescence Go features the enhanced UltraFit™ tray and can deliver dramatic results in as little as 15 minutes per day. 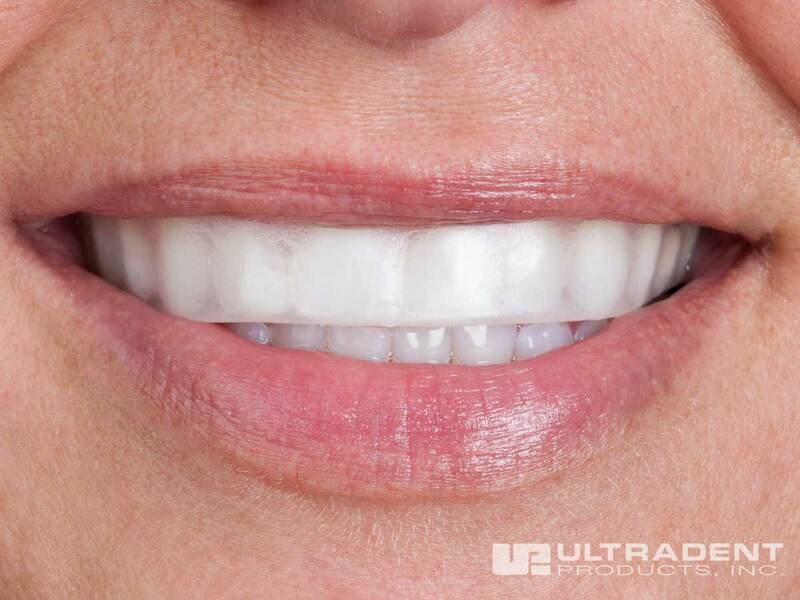 The UltraFit tray sets Opalescence Go apart with its unique material that warms with the temperature of the body so that it comfortably molds and adapts to any patient’s smile​ for an even more effective and enjoyable whitening experience. With no impressions, models, or lab time required, Opalescence Go is the professional alternative to less-effective over-the-counter options and is an excellent introduction to whitening as well as a perfect follow-up to in-office whitening. 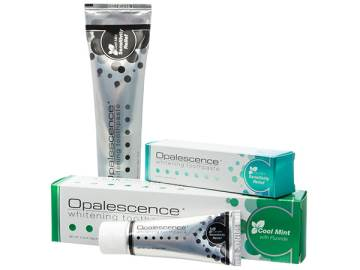 Opalescence Whitening Toothpaste is an easy and effective way to maintain a bright, white smile. This professional whitening toothpaste not only removes surface stains, but also helps strengthen the teeth with its unique formula. It is safe for everyday use, provides enamel protection and aids in caries prevention, effectively removes surface stains, and has a superior fluoride release and uptake. This toothpaste is a great way for you to maintain your results following a whitening treatment. For a whiter smile in Clinton tomorrow call us today!